In 2007, Hackleburg was named the “Best Small Town in America” by Country Music Television and it is probably for good reason. The citizens of Hackleburg, Alabama are resilient people. Hackleburg was almost leveled twice by tornadoes, once in 1943 and again in 2011, but both times they simply picked up the pieces and built their town back, better than ever. 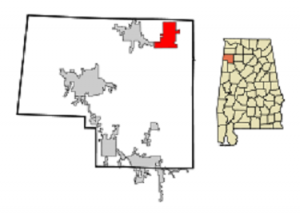 Hackleburg, Alabama is located in the northern part of Marion County one mile from Big Bear Creek, and 17 miles northeast of Hamilton. 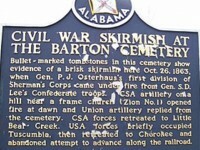 It was settled in the early 1800s and is situated at the at a point that was once the intersection of the Russellville Pipe and the Allen’s Factory and Iuka stagecoach road. 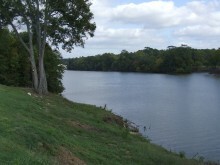 Northwest of Hackleburg are traces of the old Jackson Military Road which branched from the Natchez Trace at Columbia Tennessee and crossed the Tennessee River at Muscle Shoals. 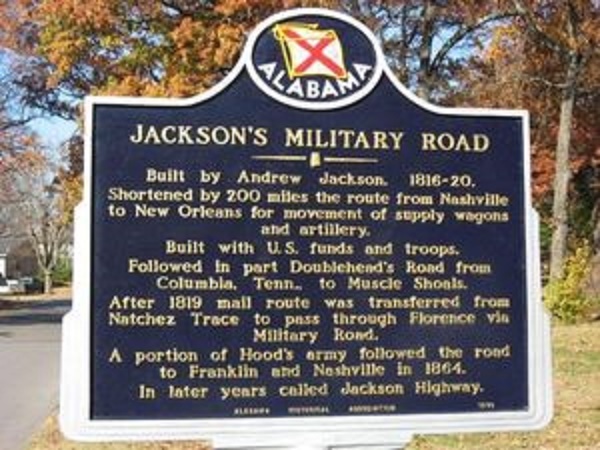 Along the Jackson Military Road was strung one of the first telegraph lines in the South in 1848. Hackleburgs population in 1912 was 286. At the 2010 census, its population was 1,430. 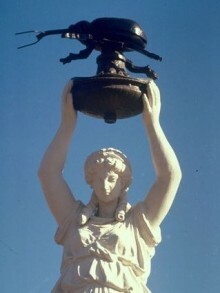 The town was named by the sheep-drovers of Tennessee, on account of the thick growth of thorny plants called hackles in the northern part of Marion County, which were destructive to the fleece and fatal to the sheep. There are other large springs near Big Bear Creek, and this circumstance made Indian villages numerous in the neighborhood. Trees are still standing whose bark was carved by the Indians. There are also mortars in the rocks where they pounded their corn and wheat. 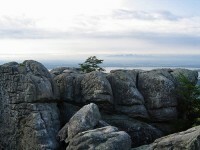 Other carvings are to be seen on the bluff and the cliffs near the springs. Robert Cochrane, of Mecklenburg, N. C., was the first settler in the vicinity. He was soon followed by the Kennedy, Self, and Fredericks families. Other early settlers were the Fredericks, Boyds, Osborns, and Rowes. The first post office near Hackleburg was called Chalk Bluff. 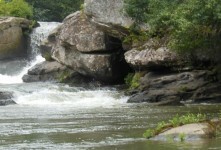 It was about four miles south of town and was moved to what is known as old Hackleburg in 1885. W. W. Frederick was the first postmaster. W. W. Osborn started the first store in 1884 at old Hackleburg and had a cotton gin, sawmill, and grist mill. Congregational Methodist was the first church and was simply a little log building about one mile south of town. Some of the early members were B. P. Cantrell, John Coleman, and W. W. Frederick. 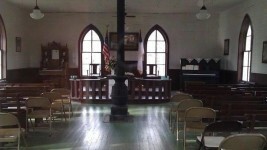 This church later was reorganized as the Methodist Church South and another building for the church was erected in 1889. It was named Cedar Tree Methodist Church because of some large cedar trees around the church. Charter members of the Baptist Church, organized July 5, 1908, included the families of J. M. Condon, J. L. Vandiver, and W. J. Bryan. The Church of Christ has organized about 1912 and the Church of God about 1920. 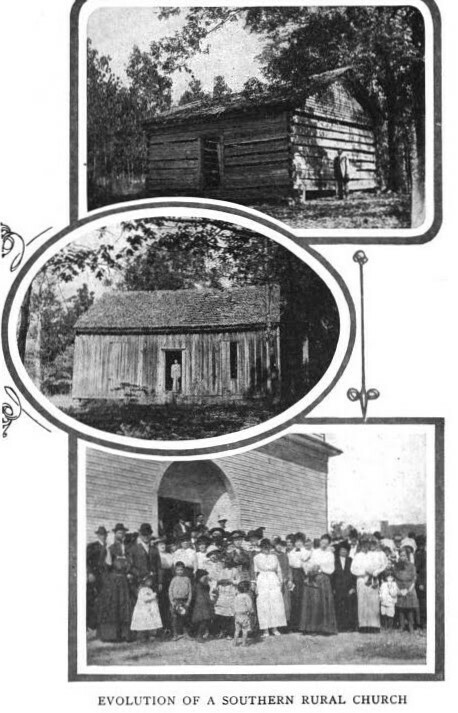 Hackleburg’s first school was held in the little log house of the Congregational Methodist Church and later moved with the Methodist church when it moved to the Cedar Tree location. 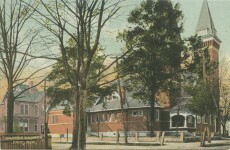 The school was held there until another school was erected on the Boyd place near the present site of the high school and elementary school in 1913. 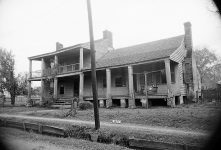 This original building burned in 1921 and classes were taught in local churches until the building was erected across from the J. S. Walker residence in 1923. Trains arrived around 1906 with the construction of the Illinois Central Railroad. An epidemic of smallpox swept through the construction camps and many men were killed. They were buried in the fields beside the track. In 1910, the train depot was built and manned by Jess Doty, Frank Osborn, and W. E. Doty as depot agents. A one-coach train, named the Doodle Bug, was popular transportation for the young and old as they attended FA SO LA singings on Sundays, attended school or shopped locally. The first store in Hackleburg was built by W. B. Mixon in 1906. Early doctors included Dr. Brooks, Dr. Robert Holcomb, Dr. J. B. Goggans, Dr. Pyle, Dr. Earnest West, Dr. W. B. Mixon, Dr. Matthews, Dr. J. L. Wilson, Dr. Wiser, and Dr. Sherman. On April 12, 1943, a tornado almost leveled the town of Hackleburg, killing four persons, Mr. and Mrs. Alvin “Bud” Powell and Mr. and Mrs. Walter Mann and injuring approximately 50 people, many of them seriously. The three Mann children were injured, but not seriously. The tornado cut a path 200 yards wide and a half mile in length through the heart of the town. Approximately 400 persons had to be housed in Army tents. The town population at the time was 628. Twenty-one homes were completely destroyed, and at least 40 more seriously damaged. The entire business district of the town including its three churches was leveled. The school building was seriously damaged. Mayor C. E. Fell estimated the property damage at approximately $500,000. The only building left standing in town was the bank, and it was heavily damaged. Hackleburg was the birthplace of Sonny James, (aka the Southern Gentleman) born James Loden, son of Archie Loden and Della (Burleson) Loden. on May 1, 1929. 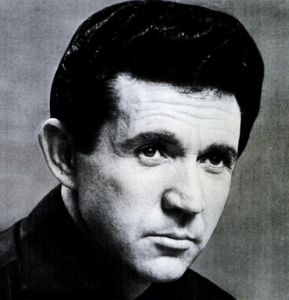 He is a Country music singer-songwriter best known for his 1957 smash hit, “Young Love”. Between 1953 and 1983 he scored an impressive 72 chart records, 43 reached the Top Ten and 23 went to #1. He was inducted into The Country Music Hall of Fame in 2006. 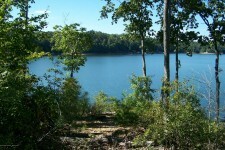 After his success as a recording artist, he returned to Hackleburg in the 90’s and moved later to Nashville, Tennessee. He returned for the Neighbor Day Festival on April 25, 2009, to recognize the 100th birthday of the town of Hackleburg and performed on the main stage. James was planning to attend the Neighbor Day Festival in Hackleburg on April 30, 2011, but the F5 tornado arrived first on April 27, 2011, and according to the Red Cross destroyed 75% of the town. Eighteen people were killed on that day. The town’s largest employer, the Wrangler jeans distribution facility was also destroyed. However, the company opened a new facility on April 29, 2013, almost exactly two years after the original plant was destroyed. Today, Hackleburg has made a long way to recovery. Below is a longer film posted on YouTube by Random Videos that reveals scenes before and after the 2011 tornado. Below is an excerpt from The American Missionary that was published in 1915 with photographs. The photographs are not identified but were included in the article. They may be photographs of the original Congregational Methodist and Methodist Church. “The church at Hackleburg, Alabama, is an interesting one. Years ago, before the war, a little company of people organized their church on the democratic platform. They called it, in those days, the Congregational Methodist church. Some years later they dropped the Methodist termination and called themselves Congregationalists. They love liberty and Congregational ideals. With the spirit of pioneers, they built their first church. With hewn logs for a floor and drawn shingles for a roof, they, with justifiable pride, dedicated their first building. It served its day. Then came the second building. There had been many changes in the community. The saw-mill had come and the new church was made of sawed lumber. Again they were proud of their church. Between the first and second buildings is the silent city of the dead. In the South, the country church always has its graveyard. Many of those who hewed logs for the first church are now sleeping the last long sleep within a few yards of the second. The coming of the railroad brought the next great change. With it came the little town located just a mile from the old graveyard. A year ago the third building was erected. 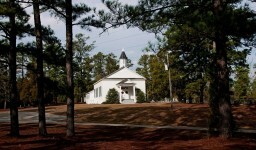 It stands in the town and is one of the most up-to-date churches in rural Alabama. This is still a new country—newer than many a Western community. The women still attend services in their sunbonnets, and they still have large families and take their children to church. The new building was erected without a dollar of aid, and houses one of the most progressive Sunday schools in the state. Recently the community entertained the State Conference. During this conference, one of the old pioneers inspired the audience by telling of some of the sacrifices and hardships of the early days. Most of these hardships were due to the fact that the people had convictions. To have fallen in with the usual church life of the country would have been easy, but their love of liberty and the ideals of Congregationalism would not permit them to do this. He closed his address by telling the audience that the whole countryside is now Congregational in belief and soon will be in practice. 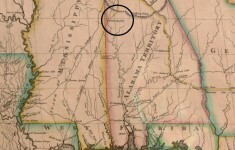 Polk’s Alabama Gazetteer. 1888-9, p. 402; Alabama Official and Statistical Register, 1915.